The schedule for the 2013 Maine Lobster Boat Races is below along with additional information on some of the villages which host the races. 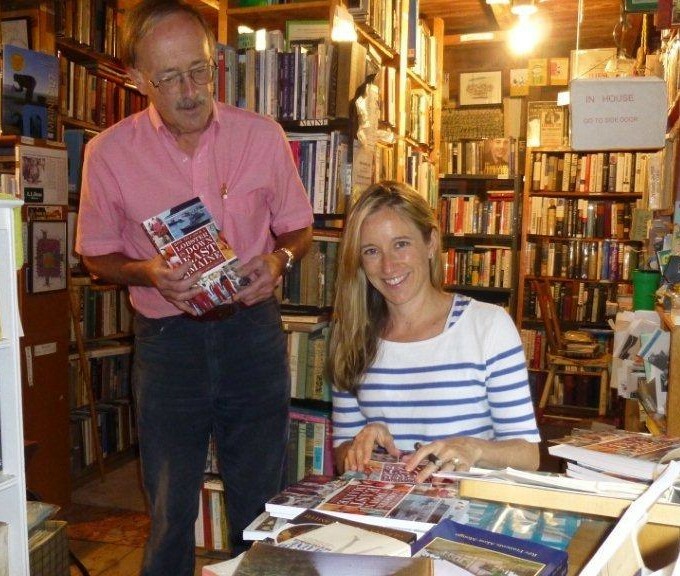 June 15, 2013 – Boothbay Harbor, Maine. Boothbay is one of the key races in the circuit and the town and harbor are beautiful to visit. If you live in Southern Maine or are traveling from out of state, this is an excellent lobster boat race to visit. June 29, 2013 – Moosabec Reach, Beals Island, Jonesport, Maine. The Jonesport Beals lobster boat race is perhaps the most iconic race of the season. This is because lobster boat racing as we know it today originated in Jonesport and Beals. Between these two fishing villages lies a sheltered body of water called Moosabec Reach which served as an ideal testing ground for boat builders to trial their boat designs when moter-power replaced sails in the 1900s. The Moosabec Races have always been highly competitive, with lobster fishermen battling it out for trophies, prizes and, most importantly, bragging rights. The towns of Jonesport and Beals come to life around the races, with parades, beauty pageants and crafts fairs. The dramatic, arching bridge connecting the two towns is a perfect place to take in the racing action. July 14, 2013 – Stonington, Maine. The Stonington Lobster Boat Races are great to go to if you’re interested in seeing an authentic, picturesque lobster fishing village which also has some nice amenities. This small town, perched on an archipelago, brings in more lobster landings than anywhere else in the state. Its quaint main street, which runs along the harbor, feels like it’s straight out of a Norman Rockwell painting and there are several simple restaurants and gift shops and some nice places to stay right on the waterfront. If you want more information on the town of Stonington, with recommendations on places to eat and stay, click here. August 10, 2013 – Winter Harbor, Maine. Smaller than Stonington, Winter Harbor is a classic Downeast fishing village with a population of less than 1,000, a Main Street with several stores (including a classic 5 and 10) and a bakery and a snug little harbor filled with lobster boats. This harbor, and the town itself, really comes to life during the Winter Harbor Lobster Festival, which includes the boat races, a craft fair and a lobster dinner (last year, for the bargain price of $15, diners were served a steamed lobster with drawn butter, corn on the cob and fresh blueberries with cream). For more information on the town of Winter Harbor and the Lobster Festival, with recommendations on places to eat and stay, click here. September 8, 2013 – Eastport, Maine. 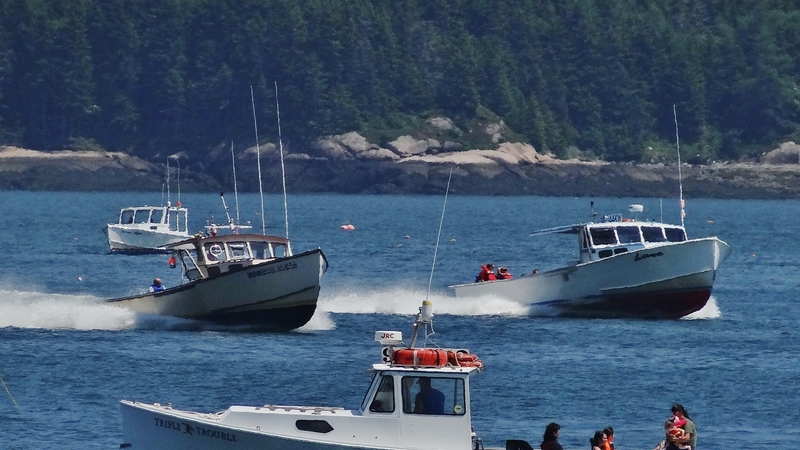 If you’re up for heading way Downeast, the Eastport Lobster Boat Races offer an excellent grand finale to the Maine Lobster Boat Racing season. The races form part of the Eastport Pirate Festival, which includes everything from live music and fireworks to lobster crate races, an underwater pirate treasure hunt, a pirate pet parade and a “friendly” invasion of the neighboring town of Lubec. The town itself is also wonderful to visit. Perched on Moose Island and connected to the mainland by causeways, Eastport’s walkable downtown includes 29 buildings on the National Historic Register. Many of these buildings were erected in the 1800’s when the little city was home to a thriving sardine canning business and rivalled New York City as a trading post. The town also has some great restaurants, bakeries and pubs. For more information on the town of Eastport, with recommendations on places to eat and stay, click here. Enjoy the 2013 Maine Lobster Boat Race season! If you attend any of the races, I’d love to know what you think and to see your photos. And if you want to read more about lobster boat racing, I have devoted almost a whole chapter to it in my book, How to Catch a Lobster in Down East Maine.